I got arrested in Pinellas County Who Do I Call? You should ask yourself, Do I want an attorney who knows the system, has experience not only in dealing with the state attorney but with taking cases to trial if I need to? What about an attorney who was a Lead Trial Attorney and a Division Director in the State Attorneys Office that deals with all of the criminal cases in Pinellas and Pasco Counties including Clearwater and St. Petersburg, an attorney with over 35 years of real criminal trial experience from both sides. What about the attorney who was the first attorney in the Sixth Circuit of Florida (which serves all of Pinellas and Pasco Counties) to attain Board Certification by the Florida Bar as a Specialist in Criminal Trial Law? Are these things that might be important to me and to my future? You should call us, and do it as soon after an arrest as you can. All consultations are free, confidential, and there is no obligation. Please make us one of the attorneys you see when you are deciding the best attorney to select for your case. And remember, every case and every person is different. Each case should be considered individually and on the specific facts of the situation. Experience with many different situations and clients may be something you want to consider. 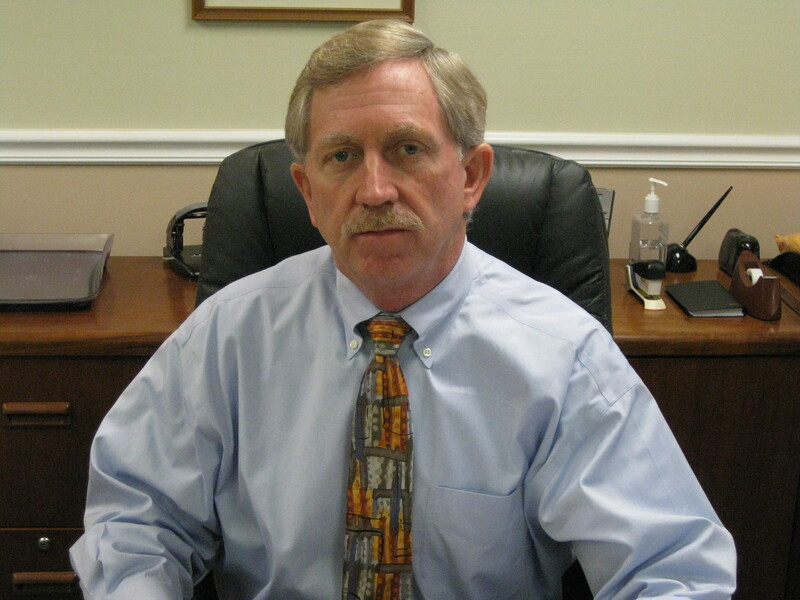 Larry Sandefer has handled well over 5,000 criminal cases. Over 250 of these have resulted in jury trials lasting anywhere from one day to several weeks in length. These trials have included more than 20 first degree murder cases, and also multi-jurisdictional drug and homicide conspiracies, drug trafficking, sales and possessions, sexual battery, lewd and lascivious accusations, child abuse charges, arson, white collar crimes including trade secrets and fraud,armed and simple robbery, theft, assault and battery, domestic violence, DUI manslaughter, DUI, resisting arrest, shoplifting, abuse allegations of children and the elderly, embezzlement, insurance fraud, burglary, kidnapping, and many other criminal charges. Larry has been involved in the criminal court system since 1978. After over 35 years in criminal law in Florida, Larry is familiar with and has worked very often with the Judges and prosecutors assigned to the criminal courts. He is a former prosecutor himself of over eight years, with experience as both a Lead Trial Attorney and a Division Director in the State Attorney’s Office. In those positions, he not only tried the most serious cases, he also supervised and trained prosecutors in several trial divisions. He is one of only a select few attorneys who have the experience of being former Division Directors. As Division Director he was involved with the investigation and decision making aspects of these charges as well as sentencing decisions and trials. As a member of the homicide investigation unit while at the State Attorney’s Office, he was often called out to the crime scene of homicides to provide legal advice. The present Division Directors in the 6th Judicial Circuit still operate in the same manner as they did when Mr. Sandefer was a Division Director, and, therefore Mr. Sandefer is well acquainted with what goes into decisions and it’s importance to the person making these decisions. In 1986, Mr. Sandefer opened his own office and has continued in the defense of criminal cases since that time. He was one of the first attorney’s in the State of Florida to become a Board Certified Specialist in Criminal Trial Law, that occurred in 1987. He was the first attorney in the 6th Judicial Circuit (Pinellas and Pasco Counties) to earn certification as a Board Certified Specialist in Criminal Trial Law. He has maintained certification continually since that date. This vast background of experience gives him the knowledge of both sides of a criminal case from both a decision making perspective and a trial perspective, and the understanding of what affects those decisions by the prosecution and what goes into those decisions. What this means for you is the knowledge, the experience, and the court room skills to assist you in your defense. Mr. Sandefer has continued his training through continuing education courses involving violent crime, organized crime, defending capital cases in Florida, narcotic investigation techniques, false child abuse allegations, and numerous other education programs by the National Association of Criminal Defense Lawyers and the Florida Association of Criminal Defense Lawyers. He is a graduate of the Criminal Trial Advocacy Institute at the University of Florida and has attended Masters of DUI Courses of the Florida Bar and the DUI Defender Courses in Las Vegas, Nevada. What Mr. Sandefer and Sandefer Law Firm take the most pride in is treating our clients the way we would want to be treated and providing with the best defense and best advice that we can. Mr. Sandefer has achieved a prestigious rating of AV by Martindale-Hubbell. This rating is a result of a peer review system based upon the confidential opinions of practicing attorneys and judges. Martindale-Hubbell has been recognized for over a century as the most respected source of authoritative information about members of the legal community. An AV rating reflects an attorney who has reached the heights of professional excellence and is recognized for the highest level of skill, integrity, and ethical standards. He has been named a Florida Super Lawyer by Florida Super Magazine in 2009 and one of the top 100 Trial Attorneys in Florida by the National Trial Lawyers Association. Board Certified as a Specialist in Criminal Trial Law by The Florida Bar since 1987 .One of the first attorneys in the state to be attain certification as a specialist in criminal trial law. Active duty U.S. Air Force, K.I. Sawyer AF base, Marquette, Mi 1973-1975 (active)(1st Lt.), 1975-1979 (reserves).